Long before the Bridge was officially opened, George Pauling, with a French chef and 300 porters, had walked the 514 miles from the river to the Congo border, locating the route of the advancing railway. Harold Pauling, who had been chief agent, had died soon after the railway had reached Victoria Falls, and A L Lawley had taken charge at Livingstone with P St G Mansergh doing the preliminary surveying. 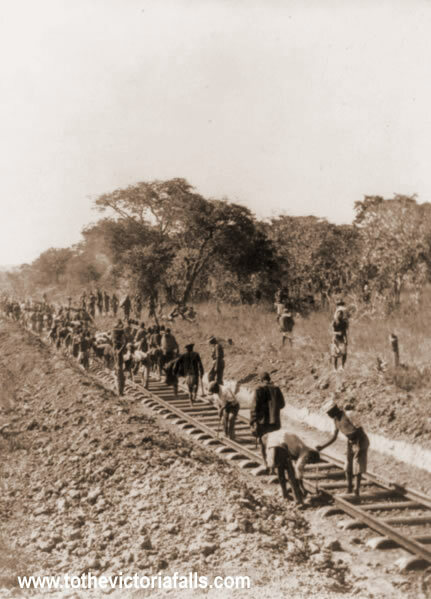 Construction of the line north was mostly through easy country for track-laying, the only obstacle being the Kalomo river which needed a bridge with three 100ft spans. 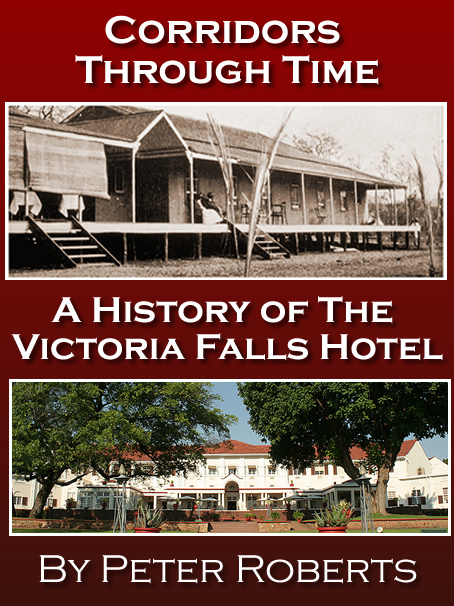 The then administrative captial was reached in May and the line from Victoria Falls to Kalomo was opened to traffic in July 1905. After Kalomo, 94 miles from the Falls, the main target was the zinc and lead mines at Broken Hill (Kabwe), and it was expected that production would call for a train a day. A contract was again awarded to Pauling for the 281 miles from Kalomo to Broken Hill, some 2,000 miles (3,200km) north of Cape Town. From Bulawayo the line had been financed by Rhodesia Railways, but for this section it was the Mashonaland Railway that provided the funds. The 100 miles of line, and the bridges from the Kafue to Broken Hill, were built entirely with materials ferried across the river on a steel pontoon. 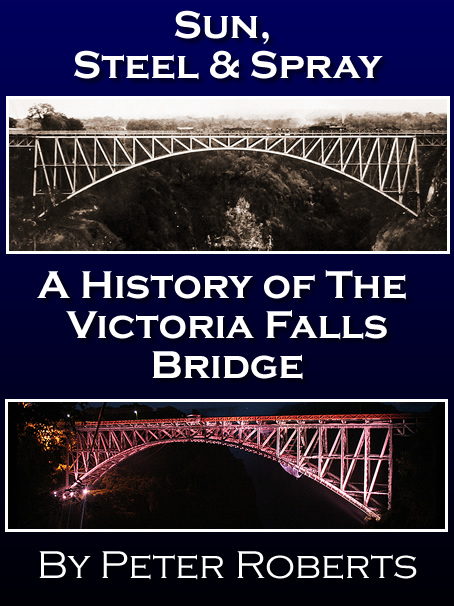 It was not until the section was completed, and the line ready for handing over to the Rhodesia Railways, that the first train crossed the completed bridge over the Kafue river. 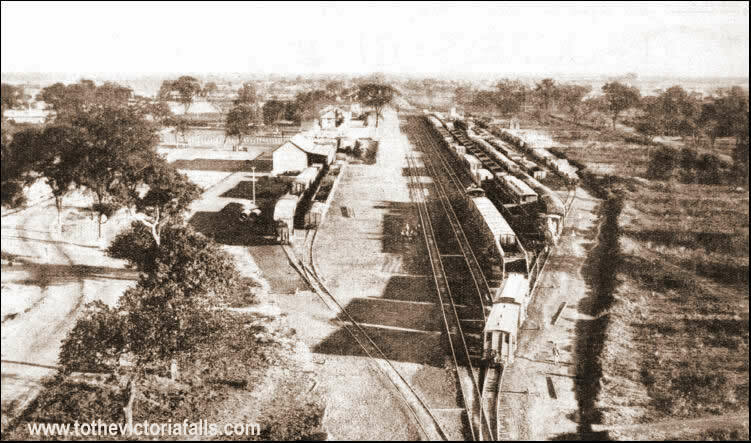 Kalomo was reached on the 11th January 1906 well within the time period of the construction contract, which stipulated that the line was to be built at the speed of one mile per day. On 20 June 1906 the first official train reached Broken Hill, with the line operating under construction conditions until it was handed over for full traffic on 1 September 1906. Unfortunately, owing to difficulties at the ore seperation refinery in Wales, the expected daily train did not materialise, and the service was cut to once a week. "The Cape to Cairo Railway came to an end in the middle of a burnt-out vlei, without even a buffer-stop at the rail terminus. Beside it stood a solitary telegraph pole, and in this atmosphere of desolation, it languished." Rich mineral deposits had been discovered in the Katanga Province of the Congo and copper at Bwana M'kubwa, some 120 miles north of Broken Hill. The Katanga mines were discovered by Robert Williams, mining engineer to Cecil Rhodes in the early Kimberley days. Robert Williams (afterwards Sir Robert Williams), was left to fulfill his promise to Rhodes and continue the work to the north. In 1898 Rhodes had signed an agreement with Williams giving his company, Tanganyika Concessions Ltd, extensive mining rights in Northern Rhodesia and the "right to locate a township at the southern end of Lake Tanganyika, to be the Rhodesian terminus of the Cape-to-Cairo railway". In 1908 the Rhodesia-Katanga Junction Railway & Mineral Co Ltd was formed by Willaims and the BSAC to construct a line from Broken Hill to the Congo border. Pauling was again awarded the contract, and in May 1909 construction work started covering the 132 miles to the border. 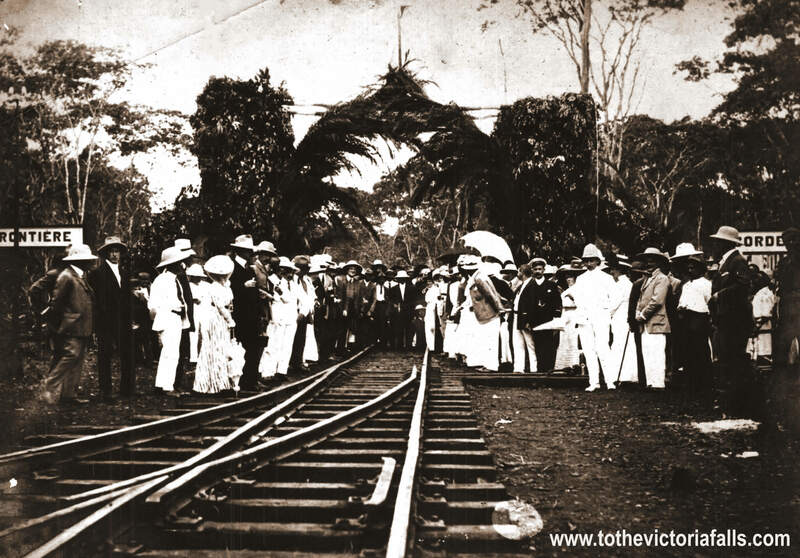 On 11 December 1909 the railway crossing of the Congo frontier was celebrated by a gathering of British and Belgian notables, at which point the final rail lengths on the border were connected with specially made copper fishplates, placed by the govenor of Katanga. Strage, in is work 'Cape to Cairo', published in 1974 describes the final stages of railway construction on the line north. "In the end, pride bowed to profit. For three years, Leopold haggled with Williams and his Tanganyika Concessions, Ltd, each side knowing that the other needed it, and holding out to get the best of the bargain. For a time, even the British South Africa Company, by now gilt-edged and irreproachably mantled in near-imperial ermine, showed interest, but at the last moment fastidiously backed away. Finally, it was old George Pauling himself who saved the day. He would put his own money into the scheme – what was another few hundred miles of table-flat track to a man who had pulled the Cape-to-Cairo through Kimberley, Vryburg, Mafeking, Bulawayo, and across the Zambesi itself? There was one condition, however; Pauling was damned if, after all that, he was expected to put locomotives on someone else’s rails. He would go along, but only if he could do the whole job, and not be compelled to stop at the border and let a clumsy lot of Belgains take over. "With this proviso, the contracts were drawn up, and on December 11th, 1909, 2,156 miles from its starting point, the Cape-to-Cairo railway left English soil for the first time. The site was a clearing in the woods near the Congolese border town of Sakania. 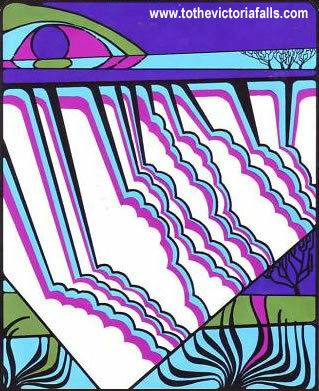 Here in the highlands, the weather was perennially balmy, and the countryside – lush but sparse trees, and beyond them open grass and a thin horizon line of gentle hills – looked more like Dorset than the centre of Africa. 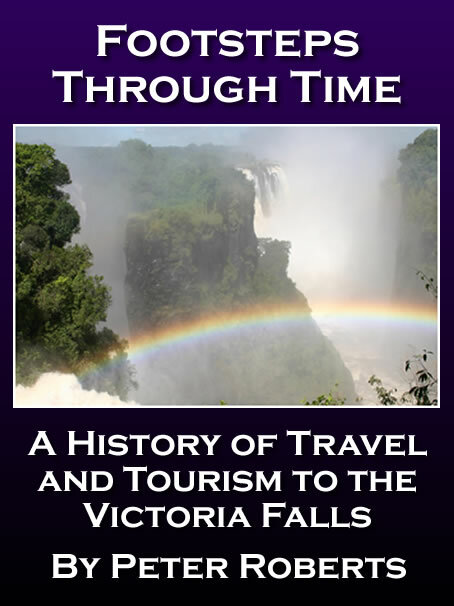 Adding to the illusion was the presence, unprecedented in this part of the continent, of some two doze ladies who had ridden up from Rhodesia and the Cape for the occasion. Photographs show them, in full-length bustled summer frocks and parasols, inspecting the rustic triumphal arch which had been fashioned out of foliage and decorated with the Belgian, British and Congolese flags. In the foreground, two freshly-planted signs proclaimed, impartially, FRONTIÈRE and BORDER. "As such affairs do, the day opened with a small, symbolic ceremony: two pairs of hands, unsued to labour, tightened the last bolt, after which a locomotive rode up ponderously to crush a pair of champagne bottles laid on the tracks. Then came lunch, and speeches in which the names of Cecil Rhodes and Leopold were linking in wholly imaginary co-operation. Dinner, set for 150 and interrupted frequently by toasts, turned out to be a disaster; Pauling’s men, given unexpected access to large quantities of alcohol, took full advantage of it. "The following day they were back at work. It was still 150 miles to the Étoie du Congo mine, where a clutch of administrative building had been thrown up and christened, in honour of Belgium’s reigning Queen, Elizabethville. Here, in front of a makeshift railway station, the first locomotive pulled up on September 27th, 1910. The great push of railway construction northwards had all but come to an end. For several years the whole system was operated by the Mashonaland Railway Company under the title Beira and Mashonaland and Rhodesia Railways, but on 1 October 1927 Rhodesia Railways Company became the working company. On 1 October 1936 Rhodesia Railways Limited became the owners of the whole railway system in Zimbabwe and Zambia as well as the Vryburg-Bulawayo section. The line from Vryburg to Ramatlhabama on the Botswana border was acquired by South African Railways in December 1959. On 1 April 1947 the then Rhodesian Government acquired the assets of Rhodesia Railways Limited and on 1 November 1949 the undertaking became a statutory body known as Rhodesia Railways. 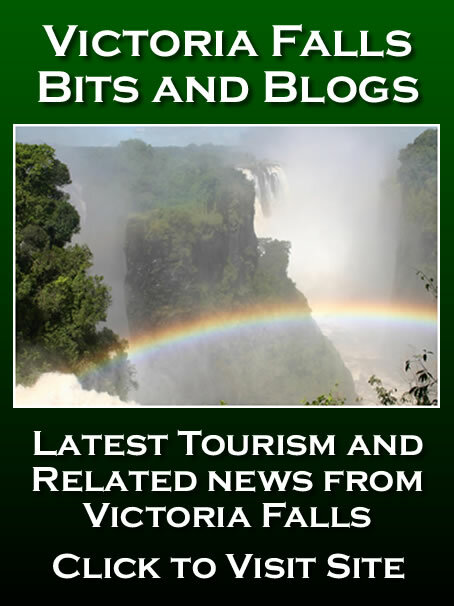 On 1 July 1967 the system was divided at the Victoria Falls bridge, with Zambia Railways in the north and Rhodesia Railways in the south. The Rhodesia Railways was re-designated Zimbabwe Rhodesia Railways on 1 June 1979 and finally National Railways of Zimbabwe on 1 May 1980 soon after the attainment of national Independence.